Jonathan (@jon_m_rod) talked about turning Fitbit data into useful personal data for free and not having to pay fitbit for personalized reports. 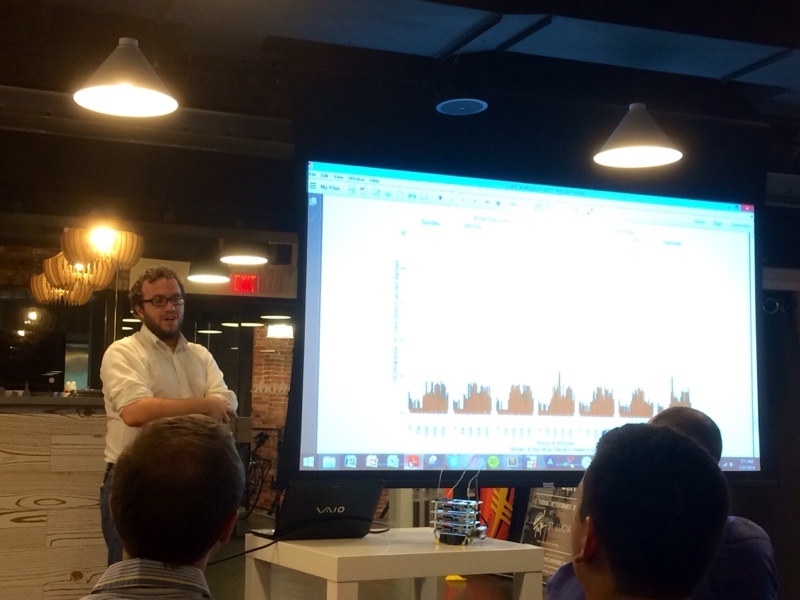 He used, Knitr (R package) this lets you make cool PDF reports. In future potentially adding Shiny package for visualization in a web interface. Jay (@BeerLabryrinth) showcased an awesome stack of 4 Nvidia Jetson Tegra K1s which have all kinds of cool applications. It ammounts to over 500 cores costing $600 that is 2lb in a 6x6” package. Damn. He vehmently denies that he’s using 192 GPUs to call aliens / mine bitcoin. 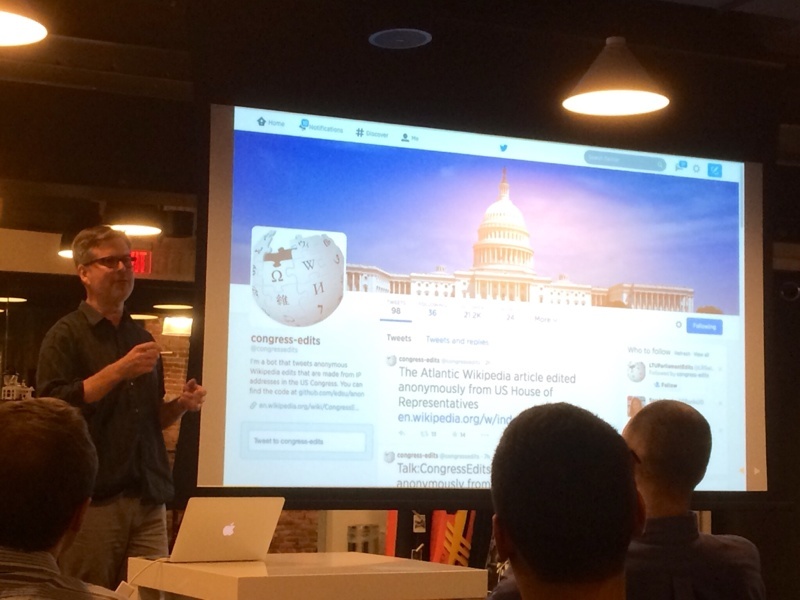 Ed (@edsu) built an app that tweets to @congressedits whenever congress changes wikipedia. Based off an initial app in the UK that used IFFT, he built an open source version that has since spread to a variety of other countries / general twitter bots based on the same idea. It has hit over 21K followers and more details can be found in the slides. Reed showcased some fun things you can do with D3.js, Node.js and the Golden ratio.Github.com/reedspool. Yay for fractal / recursive things.